Gun model. Percussive, reversible impact wrenches. Suitable for service work. 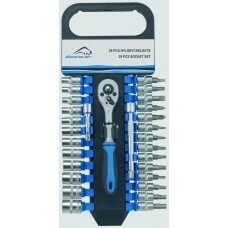 With adjustable tighte..
Set of 26 pieces. Made of chrome vanadium steel. 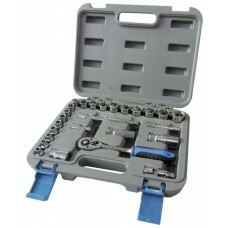 Containing 18 hexagon sockets, 3 extension bars 50,..
29 piece chrome vanadium steel 1/4” socket bit set. 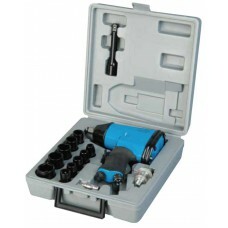 Contains 12 hexagon sockets, 14 socket bits, 2 e..